AUTO CENTRAL, CHICAGO - June 10, 2018; Every Sunday Larry Nutson, Senior Editor and Chicago Car Guy along with fellow senior editors Steve Purdy and Thom Cannell from The Auto Channel Michigan Bureau, give you The Auto Channel's "take" on this past week's automotive news, in easy to "catch up" with news nuggets. For More search the past 25 year's millions of (Indexed By Google) pages of automotive news, automotive stories, articles, reviews, archived news residing in The Auto Channel Automotive News Library. 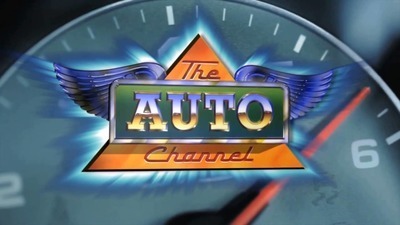 TV viewers, you can now enjoy The Auto Channel TV Network On Amazon TV, Google TV, HULU, ROKU and "Free and Clear" on WHDT in Boston and South Florida as well as local cable systems. * The talk of the automotive media this past week was about the second Indy car race at the Chevrolet Detroit Grand Prix. For the race, the 2019 Corvette ZR-1 pace car was being driven by Mark Reuss, GM's Executive Vice President, Global Product Development, Purchasing and Supply Chain. Reuss had just begun the parade lap, leading the IndyCar field, when Reuss rounded corner and lost control of the car and it hit hard into the wall. Reuss and a race official both got out of the car, both unhurt. IndyCar brought out a back-up pace car; this one driven by IndyCar veteran Oriol Servia. The crash caused the start of the race to be delayed 34 minutes. GM said: "It is unfortunate that this incident happened. Many factors contributed, including weather and track conditions. The car's safety systems performed as expected." * Detroit is not the only auto show loosing major manufacturers. The Paris auto show is now under siege. Fiat, Alfa Romeo and Jeep will not participate in the 2018 Mondial de l'Automobile, which is set to open on Oct. 2. Fiat Chrysler Automobiles will still show off its Maserati brand, as well as Ferrari. Other brands skipping the 2018 Paris show include BMW, Ford, Infiniti, Mazda, Mitsubishi, Nissan, Opel, Subaru, Volkswagen and Volvo. Additionally, Volvo announced this week it will not participate in the 2019 Geneva show, one of the most important motor shows in the world. Company officials said they will be focusing on "purpose-specific communications" as they make future marketing plans. Opel, Vauxhall and DS Automobiles skipped this year's Geneva show. * Japanese and U.S. trade representatives are preparing for bilateral talks in July that could seriously affect auto imports. While Japanese automakers produce domestically most of the vehicles they sell in the U.S., they import about 1.7 million units, close to 10% of U.S. sales totals. U.S./Japan trade relationships are being stressed by the Trump administration's rhetoric, according to Japanâ€™s finance minister, Taro Also, who referred to U.S. "protectionist measures" as "deeply deplorable." * The latest Tesla crash related to its Autopilot system has resulted in a scolding from the National Transportation Safety Board (NTSB) saying that the system is ineffective at getting drivers to keep their hands on the steering wheel even when using the Autopilot function. Consumers Reports' advocacy unit also weighed in on the issue calling the NTSB report "alarming." Tesla said drivers are supposed to keep hands on the wheel but some drivers decide not to do so. * The UAW-Chrysler National Training Center is suing two former FCA officials and the widow of a union leader in an attempt to recover more than $4.4 million in damages resulting from the ongoing corruption scandal around embezzlement of training funds. The widow of UAW Vice President General Holifield was not in on the embezzlement but benefited from it, according to the suit. The suit barely preceded the UAWâ€™s Constitutional Convention in Detroit. * A group of Harvard scientists claim to have found a way to turn air-borne CO2 into gasoline, sort of a modern day alchemy. In a paper published this week in the scientific journal Joule the researchers say they have found a way to remove the CO2 from the air at a fairly reasonable cost, then use limestone and hydrogen in a process to produce gasoline or jet fuel. The process is called "direct air capture". The group is pursuing funding to establish an industrial scale plant. * General Motors and Honda announced a partnership to develop a next-generation battery. The new agreement follows another between the two companies last year to jointly develop hydrogen fuel-cells for vehicles and other uses. Both companies have shared plans to rely more on electrified vehicles in the future and these agreements will support those plans. Details on the science and engineering behind the next-gen batteries was not shared. Industry analyst firm, Boston Consulting, has predicted battery costs will fall from $150/kWh to $70 or less in the next five years. * A Washington Post story says most Americans think autonomous cars will be quite common in 15 years. But, 74 percent of people say they don't expect to have one. Two-thirds say they wouldn't want to walk or ride a bicycle anywhere near one. In 15 years, the youngest millennial will be 33 and the youngest Gen-Xer will be 50. A lot of marketing will be needed to convince people of their safety. * Cadillac confirmed this week that it is keeping its global brand headquarters in New York City. The headquarters location came into discussion in the media after the departure of former president Johan de Nysschen The decision makes sense, analysts said, because Cadillac is not just a Detroit brand anymore. It is a global brand achieving big sales gains in China. Moving its New York headquarters would be costly and might result in a talent flight. * We test drove the new 2018 Nissan Kicks subcompact crossover SUV this week. It's designed and targeted to appeal to city-living young people with prices starting at $17,990. Watch for our full review coming soon. * Kia is recalling over a half-million vehicles in the U.S. because the air bags may not work in a crash. Vehicles covered by the Kia recall include 2010 through 2013 Forte compact cars and 2011 through 2013 Optima midsize cars. Also covered are Optima Hybrid and Sedona minivans from 2011 and 2012. * Norwegian Cruise Lines has something for all us drivers. On the new Norwegian Bliss, cruise passengers can drive go-karts on a two-story racetrack. The go-karts on the Bliss cost $9.95 for 8 laps. The Bliss will cruise Alaskan waters this summer and the Caribbean in the winter.